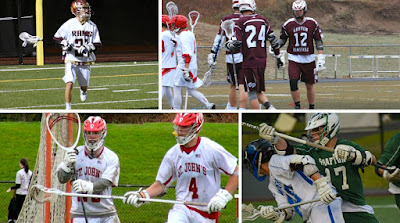 Another season of Central Mass Lacrosse has come to a close, and that means it's time for our annual All-Stars and, later today, Award Winners. For those who missed it, we've already released our final team Power Rankings of the season as well. Just a note about the comments section: Last year got pretty ugly, so now you have to sign in to comment. Even so, know that any comments directly degrading or attacking a particular player will be deleted. But feel free to tell me which players I snubbed and how much of an idiot I am. I probably deserve it. Also note that players are listed in alphabetical number under each team (1st team, 2nd team, 3rd team, HM), so I'm no longer ranking them inside each tier. I don't wanna split those hairs (until our awards). Also, All-Americans are marked with an (AA) following their listing. Now, meet this year's team! It'a always tough to weight stats against schedule and supporting cast, but at the end of the day, Frio, Kozub and Pietz get the nod after fantastic complete seasons. Coates went out with a bang, scoring a golden-goal in the state semifinals, while Collari and Morrill each took their games to new levels and helped their teams reach new heights. Glover, MacMahon and Shaw were the three best small-program attackmen in the region, and all were instrumental in getting their teams to the state tournament. 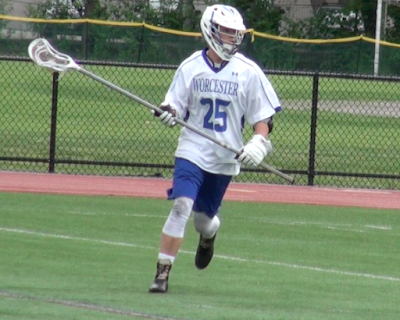 Finally, it's hard to see St. John's being as dominant offensively without Jack Donahue, while Skowronek helped Algonquin make a miracle run to the playoffs, and freshman Blake Moxim paced surprising Hopedale in points. This may look blasphemous, considering that I put three All-Americans on the second and third teams, but for my money, there weren't three better all-around midfielders in the region than Laforge, McDonough and Ward. Both McDonough and Laforge excelled at the face-off X, while leading their respective offenses, and Ward was flat-out the most complete offensive middie in the region. That's to take nothing away from Anthony D'Angelo, who earned his All-American nod by playing his best lacrosse down the stretch, and All-American Griffin Shoemaker, who sacrificed stats for the good of his team. Tom Muir, meanwhile, may have been the most underrated player in Central Mass. He did it all for Tantasqua. Richards was a feared outside shooter and physical presence, while Ritchie balanced out the St. John's offense, and gave the Pioneers some added toughness. Wollensak helped Hopedale weather some injuries and close games to make its first tournament appearance, with an all-around game that should not be overlooked. Gurney was a revelation offensively, especially during Grafton's tournament run, while Hendricks continued the tradition of all-around excellence in the midfield at BVT, and Rausa gave Littleton one of the best midfields in Central Mass. Campbell's play on defense, and in transition, keyed a 10-game winning streak for the Colonials, while C.J. Gallagher finished his career doing a little bit of everything for WooLax. The top FOGO in the region, All-American Jake Zablocki helped Shepherd Hill have one of its best seasons to date. 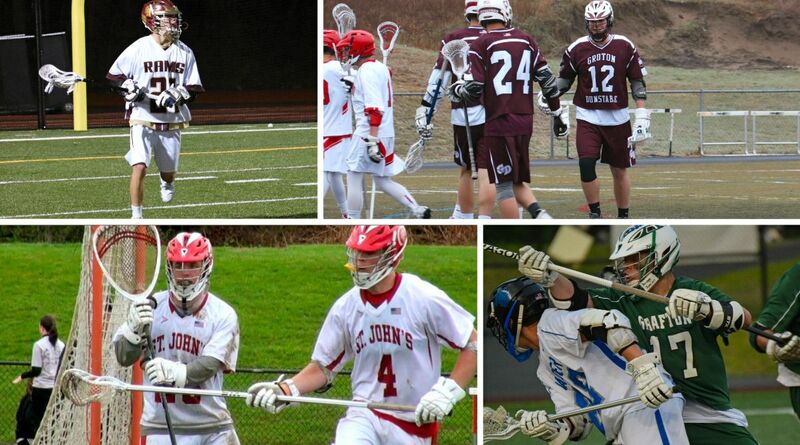 Estella was a ground ball demon and added defensive presence for St. John's, while Cosseboom was another possession weapon in a loaded Grafton midfield. Cam Shoemaker joins his brother on our team after a fantastic defensive season, and Guillete received praise from all over for his work as a short stick D-Mid. Finally, Robson proved to be a pest beyond his years for Tyngsboro. The Indians put two on our first team, as longtime starters Bartosiewicz and Nicalek helped Grafton again field one of the best defenses in the state. It doesn't hurt that teammate Jack Fontana would be the top pole on most other teams in the region. 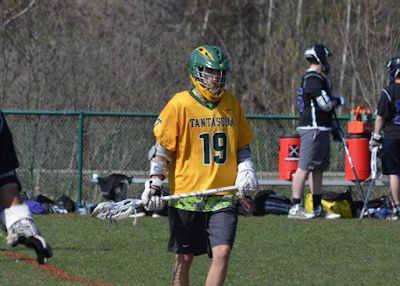 Nate Forbes moved from LSM to D, and quickly used his speed and length to become one of the most overwhelming defenders in the region. Dubz was his usually physical self, powering Wachusett's back line, while Joe Fitzpatrick and Sam Correnti each excelled for St. John's. Brandon Lefebvre led Nipmuc to perhaps its best defensive season ever, while Kyle Crowley's speed and motor made him a thorn in the entirety of Mid-Wach C's side. Robbie Siefring helped a beaten up Hopedale defense survive a Mid-Mass. schedule, while Luke Hanlon's dogged determination again made him standout for Worcester. Finally, Dan Reed's incredible efforts kept a young Leominster team in games longer than most would have expected. A pair of Matts from Grafton top our goalie list, as they were key reasons why their teams finished atop CMass. Meanwhile, nobody stopped more shots than Dan Hollis, who made 15-20 save performances look routine, and Nevin Tardiff went from a backup attackman to an instrumental netminder for Groton-Dunstable. Chu had a breakout year on a breakout team, while the freshman Witherell stepped in and filled Erik Rauker's big shoes between the pipes for Littleton. Finally, Michael Fornal looks to be the next great Shrewsbury goalie, and Sean Kelley battled to get a re-loading St. Bernard's team back to the tournament.